IDC has found that the market for object-based storage (OBS) continues to grow and gain traction, especially in the past two years, as users gravitate towards systems that are easier to scale, less complex to manage and more efficient at storing the growing amount of unstructured data that is being generated by businesses and users. (DOC # US43630018). The MarketScape study assesses the capabilities and business strategies of leading suppliers in the scale-out object-based storage market, which the IDC MarketScape notes is part of the overall file and OBS market segment. This study includes analysis of 13 key vendors of commercial OBS solutions with broad portfolios and global scale. IBM Cloud Object Storage is one member of IBM’s extensive suite of software-defined storage solutions and is part of the Spectrum Storage Suite, helping you lower your costs by up to 40 percent. The on-premises IBM Cloud Object Storage system is a breakthrough platform for storing large amounts of unstructured data. It is designed to provide scalability, availability, security with simplicity and lower total cost of ownership (TCO). It is available as an integrated storage system or as a software-only solution. In addition, IBM Cloud Object Storage is available as a public cloud service in the IBM Cloud. 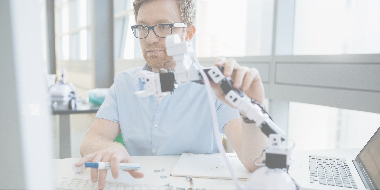 IBM Cloud Object Storage is ideal for use cases such as remote file collaboration, backup or archive repository, and as a content repository for images, video and voice. 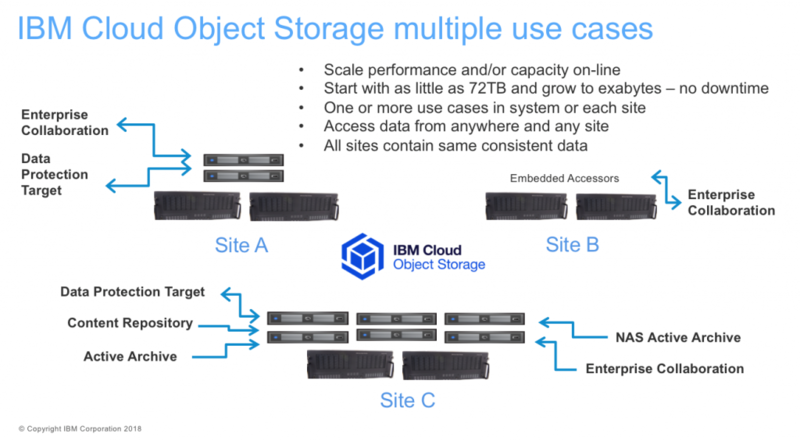 One of the advantages for customers with the IBM Cloud Object Storage architecture is that as more use cases are put on the system, the more benefits can be realized. Clients can start with as few as three commodity x86 server nodes or as little as 72 TB and grow to exabytes of useable storage without ever losing access to the data. By combining a single copy of protected data and the ability to lock down data using policy-based WORM storage, IBM Cloud Object Storage is quickly becoming the choice for many industries – such as finance, healthcare, and government – that have compliance or other data retention requirements. 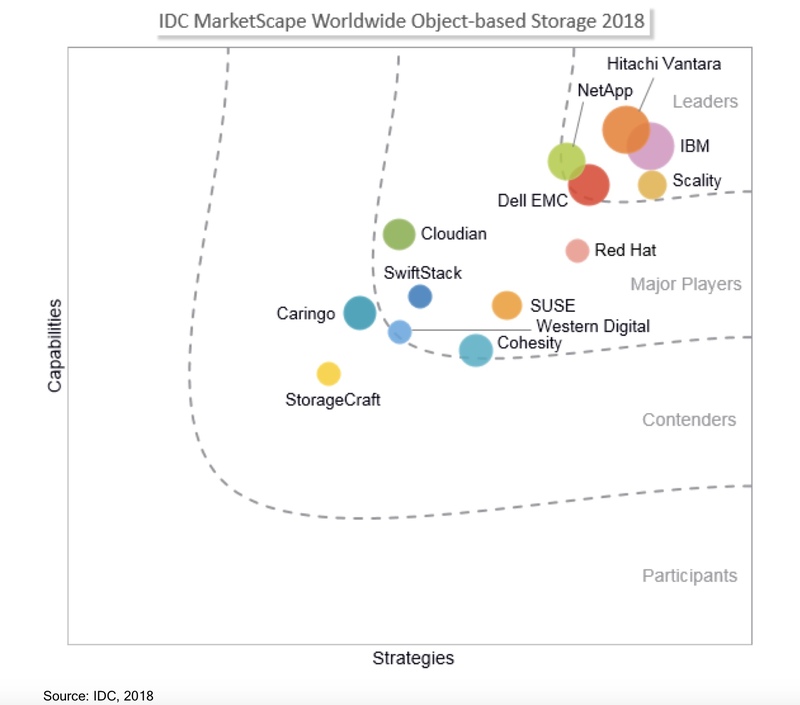 For more information on the latest IDC MarketScape for Object Based Storage results you can click here. To find more information about Cloud Object Storage you can visit: www.ibm.com/marketplace/cloud-object-storage-system.